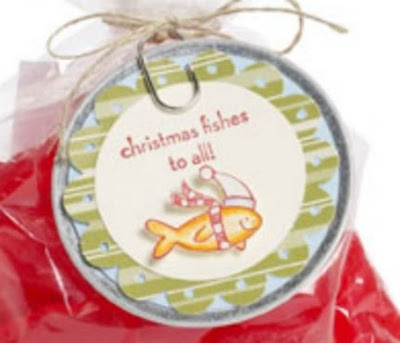 Craftin' Caro: Holiday countdown -- week 3 brings the fishies! Holiday countdown -- week 3 brings the fishies! Today marks the 3rd week of my "12 Weeks of Christmas" Countdown, with emails going out to all subscribers with fun little holiday cards and gift ideas to help kickstart your inspiration! Here's a little teaser of what's coming to your inboxes today. Be sure to join my e-newsletter list today so that you get your weekly email too - I wouldn't want you to miss out on all the fun!